Yesterday was cold, rainy and windy. The weather reflected the mood of the day’s visits. Our first two hours were spent at Yad V’Shem – The Holocaust Memorial Museum. 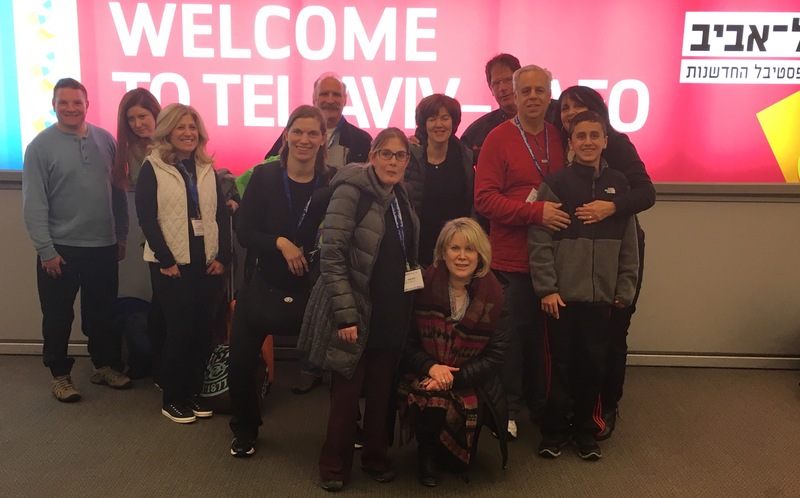 The visit was particularly poignant because Essie Freilich, one of our congregants on our trips, is a Holocaust survivor; Howard Stern’s father, Harry, is a survivor; and Dan Rakos, another participant, knew that his grandmother was a survivor. Each one of us entered the museum with our own personal feelings, connections, senses of loss and longing, worries about the future, hopes and dreams. The exhibit hall ends with a symbol of hope: an opening like a bow of a ship, overlooking the hills of Jerusalem. We breathed in the Jerusalem air. Before we left the museum site, we gathered our group to recite Kaddish: For life cut short and vision unrealized: we remember. 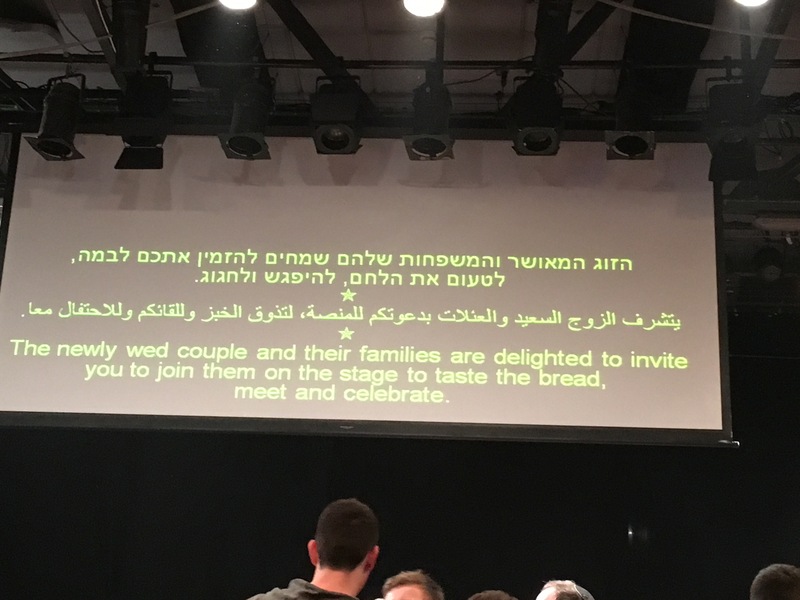 Yitgadal, v’yitkadash shmei rabbah…. But we could not yet dry our tears. Our next stop was Mt Herzl, Har Herzl, with Professor David Mendelsonn from Hebrew Union College. He spoke to us about the importance of the mountain as a reflection of the values and morals of the civil religion of Israel as a society. We learned, through his eyes, that Har Herzl was more than simply a national cemetery. It is a statement of all that is important to Israel over time. We visited the graves of Herzl, Rabin, Peres, Hannah Senesh and young soldiers who died protecting the Jewish homeland. 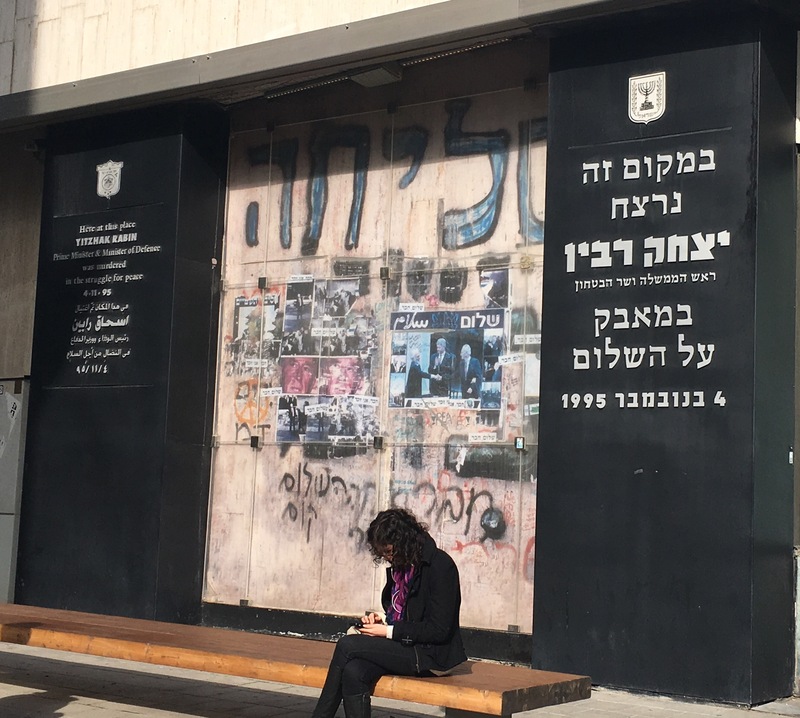 We learned how the waves of immigrants coming to Israel marked their important values here with their monuments: Moroccan Jewry, Soviet Jewry, Ethiopian Jewry. And the rain – God’s tears- continued to fall. The wind blew, the rain fell down in torrents and we were chilled to the bone. Our morning left us in physical and emotional discomfort. We could easily change our clothes, dry our hair, sip hot tea. But it is important to live with that emotional discomfort. To remember that ‘never again’ means we need to fight for human rights wherever people are suffering at the hands of another. To pray for peace means doing something physical to turn words into reality, so we do not see more and more graves for 19 and 20 and 30-year olds who died defending their country. 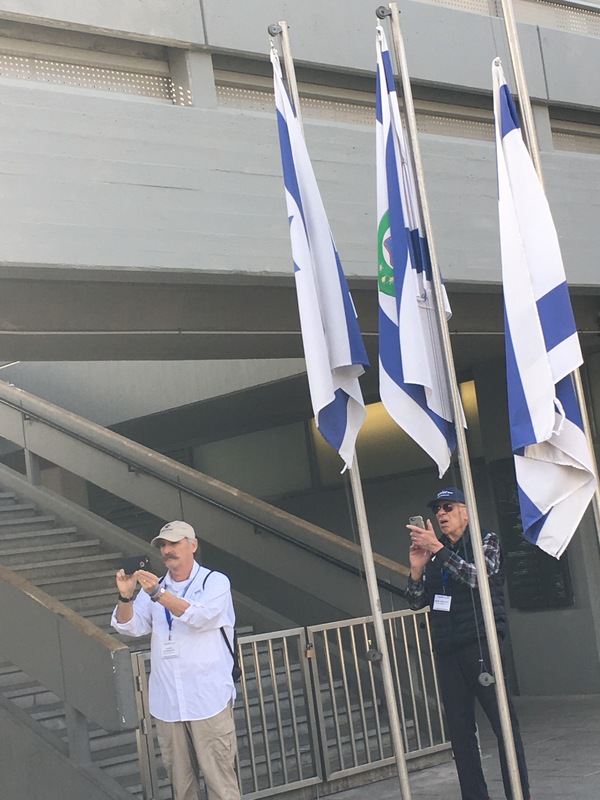 We are in Jerusalem- Iyr Shel Shalom – City of Peace. May peace descend on Jerusalem, on Israel and all the world, soon. After another satisfying buffet breakfast at Galei Kinneret, Avi and Ofer took us down the Jordon Valley to our first stop, the ancient city of Bet She’an. Strolling down the city’s once elegant boulevard, we visit the Bathhouses, the spas of the 4th Century. Continuing on Palladius Street, the Fifth Ave of the times, we passed what were once designer-type shops and imagined what transacted between merchants and patrons. 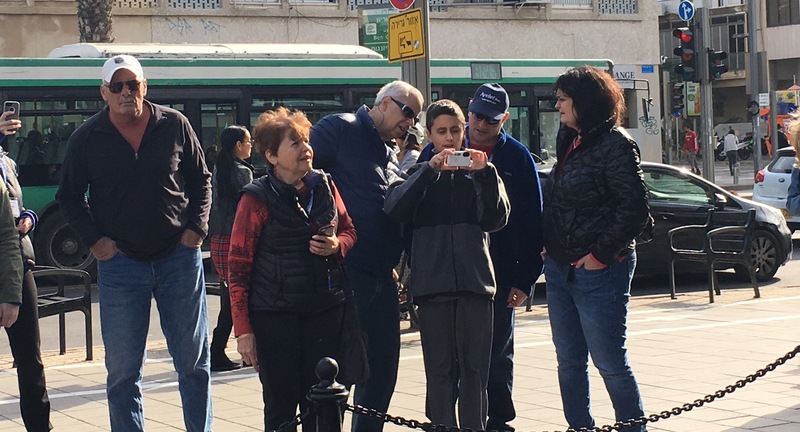 Did they have January White Sales then?At the intersection of Palladius and Silvanus Streets Mark Saidens discovered Ofer’s replacement, an automated tour guide. Actually, Ofer has no replacement. Built in the 1st Century, the 7,000 seat theatre had three tiers of seating, with VIPS seated in the more desirable sections and the lower class with their two-fers possibly acquired at an ancient TKTS Booth, in the nose bleed seats. Each day of our journey brought about yet another bathroom challenge and our visit to Bet She’an was no exception. However, Howard Stern found the best seat in the house and looked quite at home with these facilities. From Beit She’an, we drove to the ancient synagogue of Beit Alpha in what was once the Jewish village of Ilfa. Built in the 5th century, the synagogue was uncovered accidentally in the fields of Kibbutz Heftziba. And in 1929, excavated by archeologists of the Hebrew University of Jerusalem. Our group viewed a cleverly produced video about the creation of the synagogue’s intricate mosaic floor laid at the beginning of the 6th century. On this day, we actually had lunch during lunchtime, a truck stop that provided anything you would want as long as it was falafel or schnitzel. 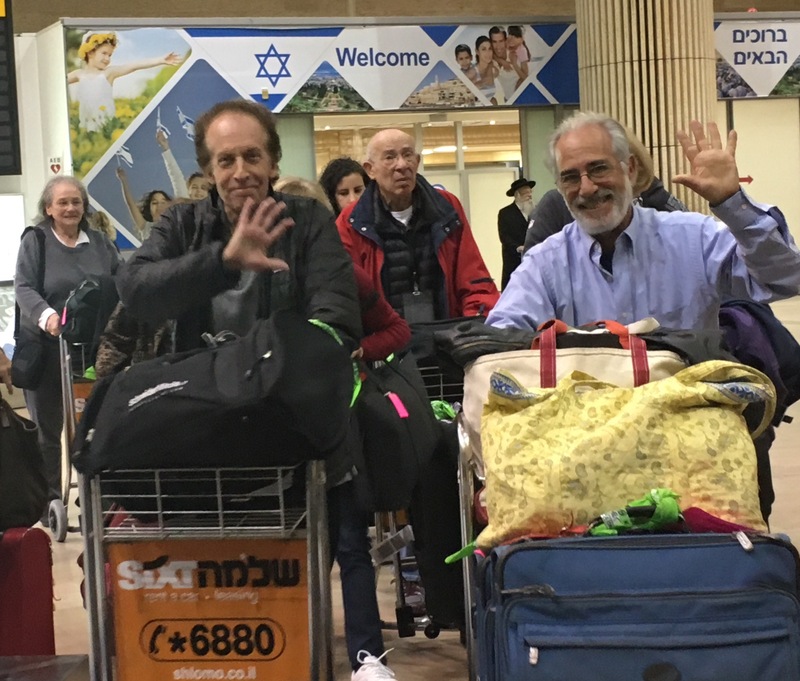 As we traveled by the West Bank on our approach to Jerusalem, Ofer and Rabbi Sobel shared historic perspectives about the ever changing borders throughout time. It was also interesting to hear that formerly nomadic people, the Bedouins, eventually settled and got stuck in a land between Jordon and Israel, remaining there today. 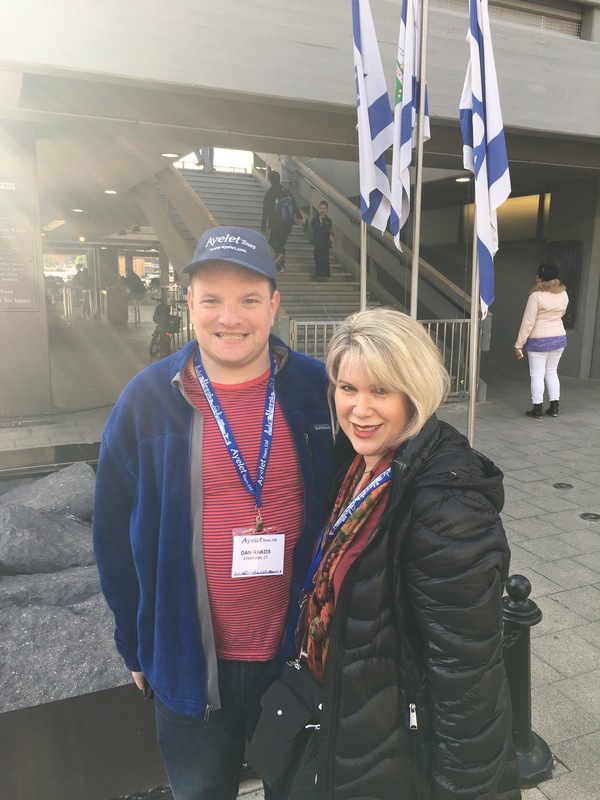 Our excitement began to build as we approached Jerusalem and anticipated Ilene’s and my first experience to the Holy Land. The bus climbed Mt Scopus where we disembarked and viewed for the first time the City of Gold, the City of Peace. Overlooking the Temple Mount we recited the Sh’hekiyanu (and – Rabbi Sobel’s note: a special prayer for Jerusalem and our sojourn here) and shared challah and wine and hugs. With the walls beneath the Tower of David as a backdrop, the evening’s Sound and Light Show told the tale of the history of Jerusalem from the time of the Israelite kings to the present day; a most unique way of kicking off our Jerusalem experience. A cool, but starlit sky enhanced the wonder of the show. 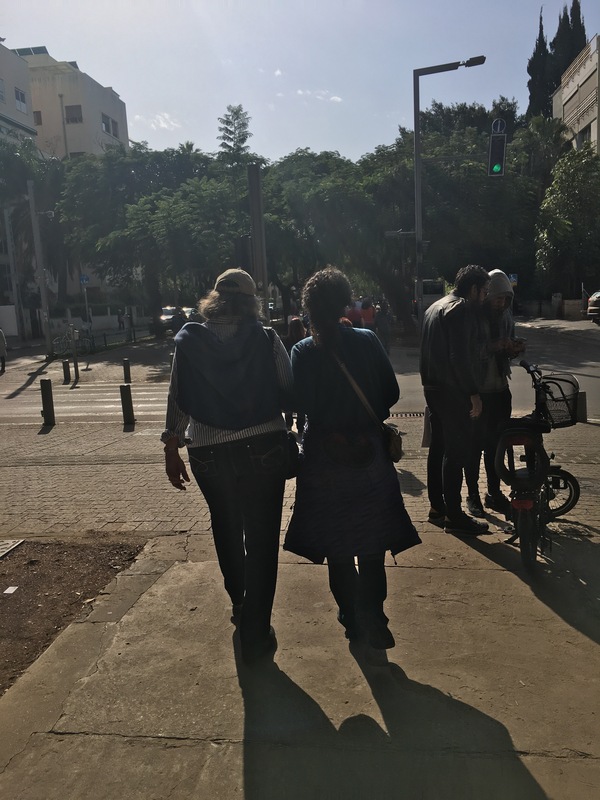 As we learn about Israeli life, we’re learning about one another. Essie and Mark are still on their honeymoon. Glenn and Ilene don’t sit next to each other on the bus. 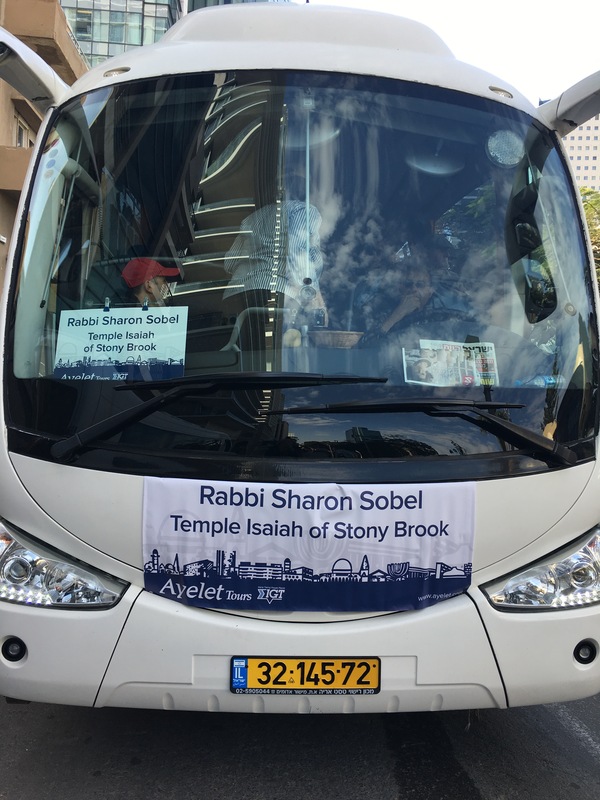 And Rabbi Sobel steals tissue boxes from hotels (Rabbi Sobel’s note: actually, Avi, our bus driver gets them for her b/c she has a cold). And I can relate to Orange and Blue (Rachel and Michelle) – I have an identical twin. We’re looking forward to continuing our journey with our new friends: our journey of heart, mind, and spirit. 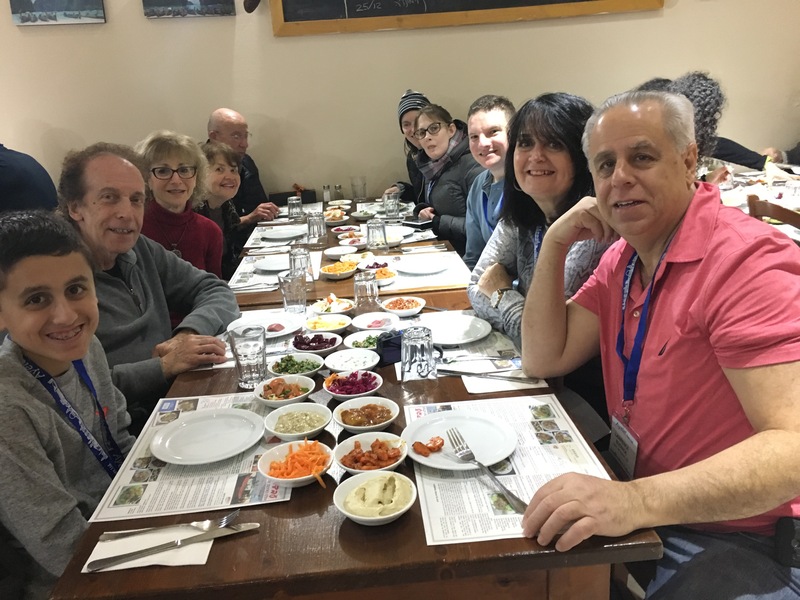 After filling our bellies with an array of breakfast goodies, we donned our rain gear and departed Galei Kinneret (Hotel) to Safed, known as one of the four holiest cities due to its ties to Kabbalah (Jewish mysticism). 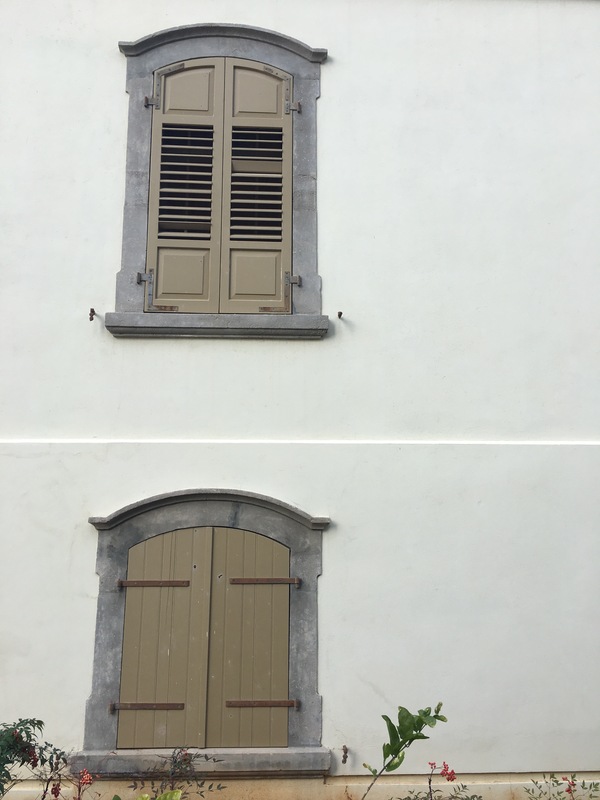 As the bus climbed in elevation, the rockscape changed from the camel-colored sand-stone we witnessed as we winded our way through the old passageways of Jaffa, to volcanic rock – as dark as the night’s sky. Upon arriving in Safed, we visited an artist’s gallery before entering the meandering alleyways filled with art vendors. 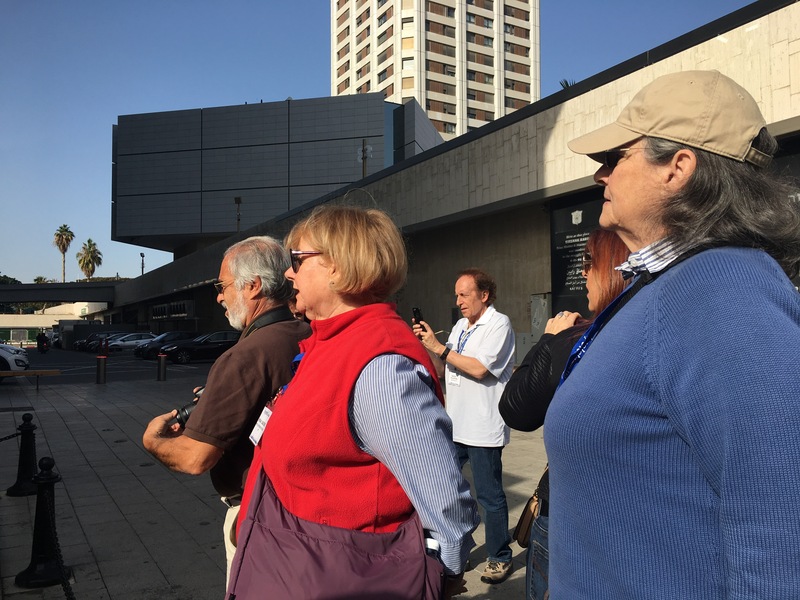 We traversed back and forth over the slippery cobblestone pathways and up a staircase to the Ari Ashkenazi Synagogue. The synagogue was tiny but big in style with its intricately decorated ark and beautiful stained-glass windows. In the back corner sat Elijah’s chair. I took advantage of it and sat on it, hoping the prophecy of finding a mate within two years is true. YOLO. From the synagogue, my mom, sister and I stopped into some shops as we headed back toward the bus. One of the shops was a gallery of fine art that contained no modern walls, but walls and archways made of stone. 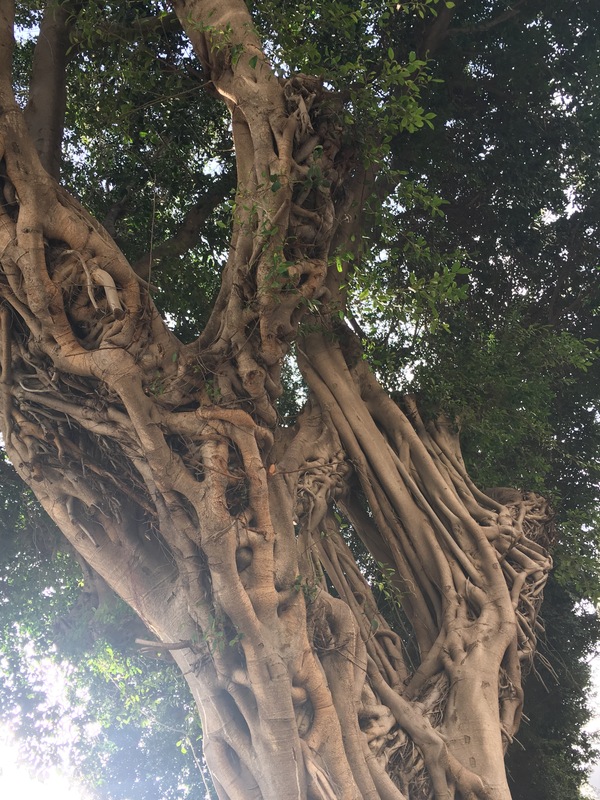 Safed, like Jerusalem, is a place where I feel connected to Israel and my ancestors of long ago. To walk the same streets, touch the same walls is a unique feeling I will always treasure. From Safed, we continued to the Golan Heights where Opher pointed out the signs warning of land mines along the side of the road. A reminder that Israel is always at turmoil. 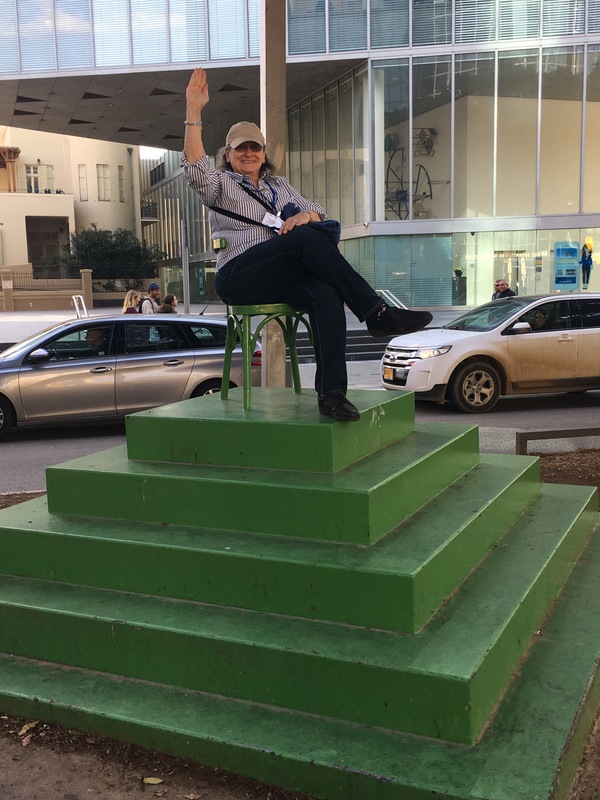 A few of us opted out of the jeep tour and headed to the kibbutz that housed the De Karina Chocolate factory. [While the rest of the group road off in approximately 4-5 jeeps to see the Syrian border and learn of the kibbutz’s history with living so close to the border]* we drank ‘chocolate hafuch’ (hot chocolate with whipped milk) as we waited for the rest of the group to arrive. 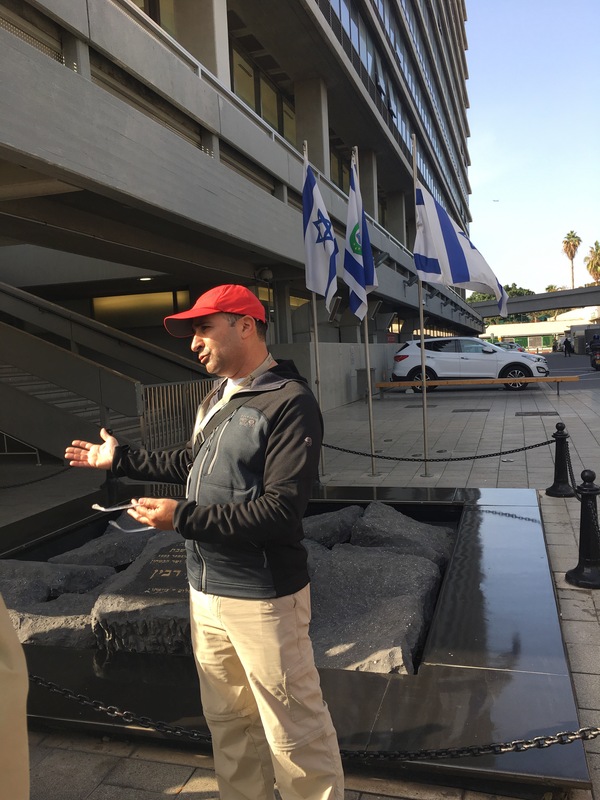 When the group returned from the jeep tour, Col Kobi Marom spoke to us regarding Israel’s current political situation and to give us a security briefing. It was interesting to learn that we were situated about two miles from the terrorist organization Al Queda. Sometimes life is too serious and frightening, so it was nice to be a little creative, get dirty and make chocolate treats. After stopping for a quick bite to eat, we headed to the Golan Heights Winery where Reuben gave us a guided tour. 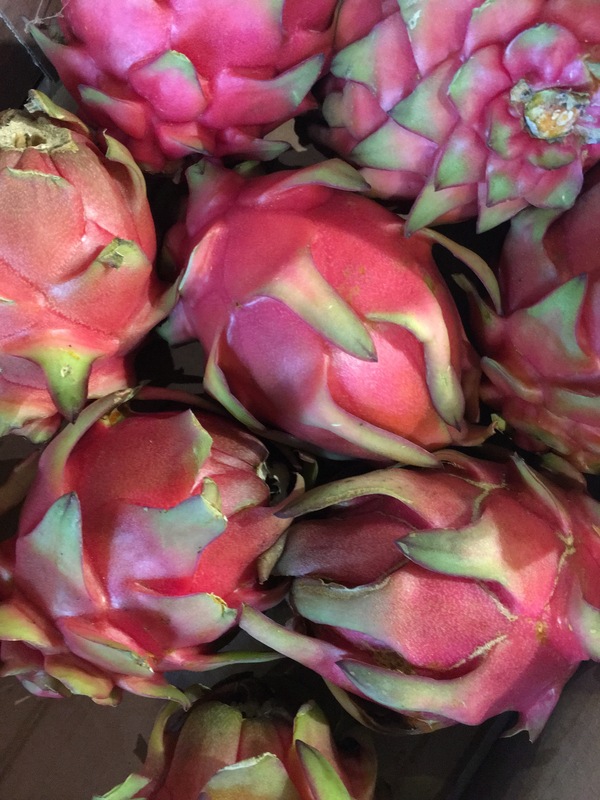 It was also interesting to know that no one knew for sure what grapes were original to the region. 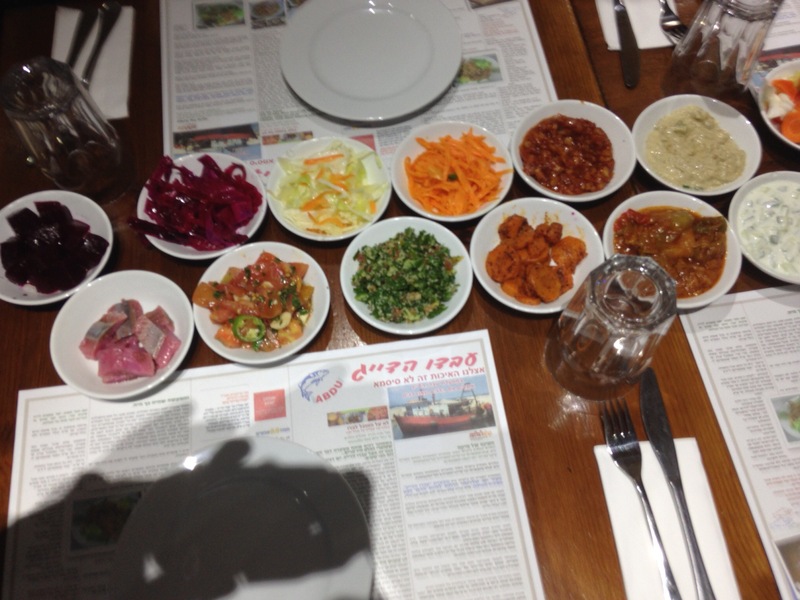 We concluded our day in Israel with a delicious multi-course dinner at Robergs Restaurant. We returned to the hotel full and happy. *Anything witten inside [ ] is written by Rabbi Sharon Sobel. Today we continued our journey and last day in Tel Aviv, we were eager to start our adventurous day. It was going to be more eye opening because people were less sleepy because were less jet lagged. 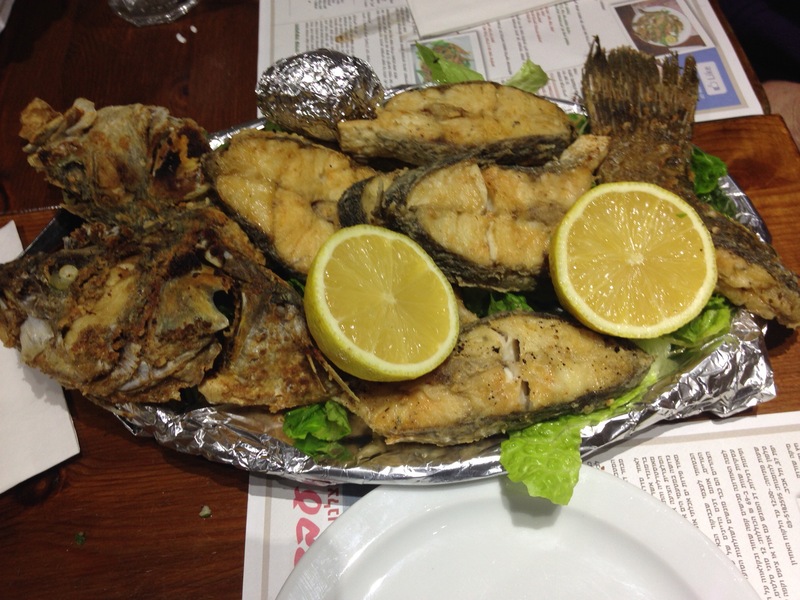 The day began with a delicious buffet breakfast and than we ventured to a Palmach museum. We were pleasantly surprised to meet a veteran who had fought in the war of independence. 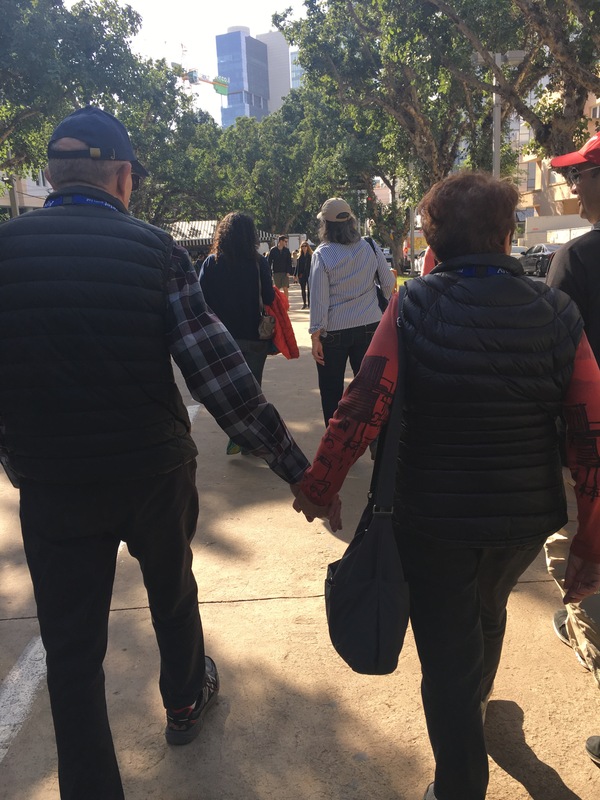 Then we not only smelled coffee and shook in our seats but we experienced a heartfelt interactive walking tour and video which let us experience how it was for others during that time period. After that went to the Nachalat Binyamin arts and crafts fair and the Carmel Market pedestrian mall. Everyone discovered new things, new foods or at least made new memories. We enjoyed the scenery and of course the company of Sharon. Then we took a tour of old Jaffa. 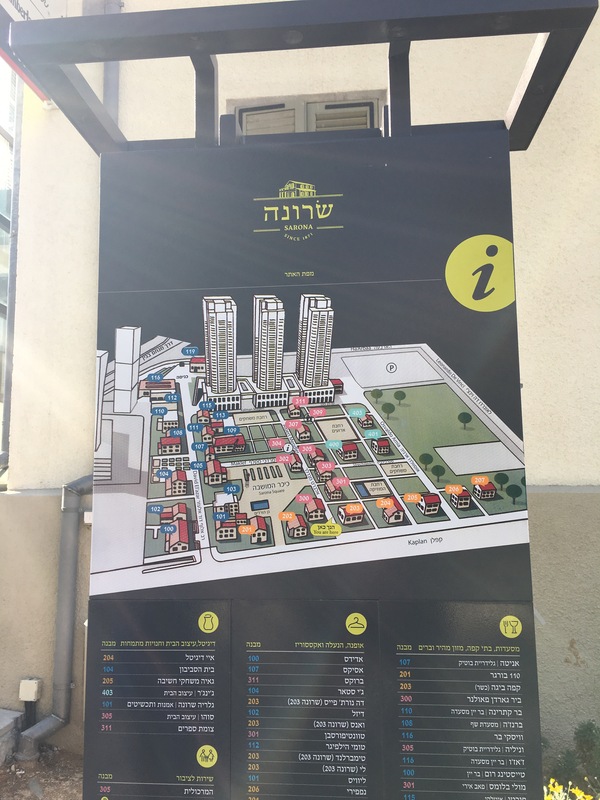 The landscaping, architecture and Ofer’s knowledge of history about the city were remarkable. 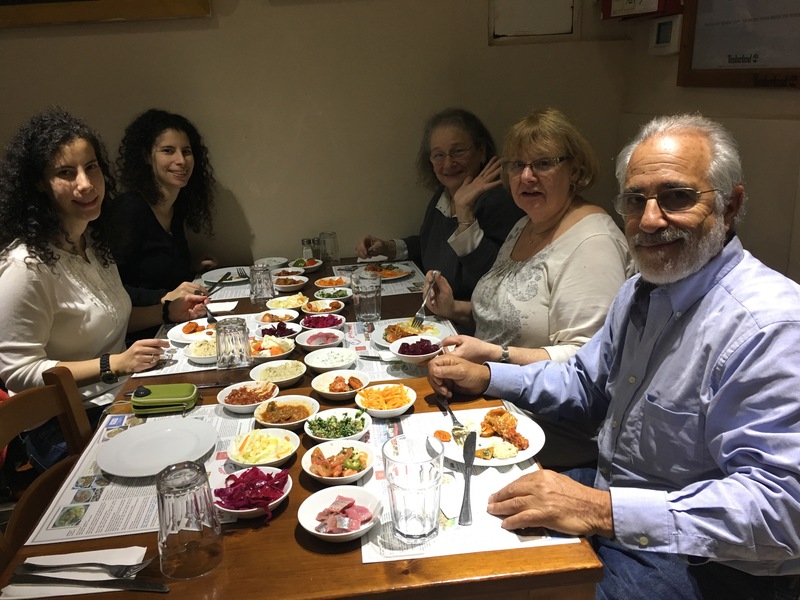 We had a cultural Jewish evening that started off when we meet at a preschool room at a Reform synagogue called Yozma in the city of Modin. 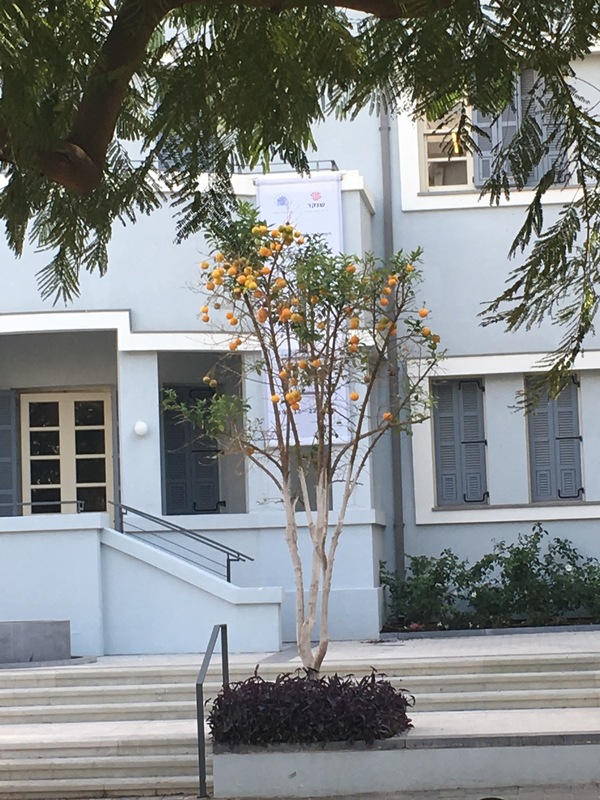 It was fascinating and informative in how educational systems are designed in Israel. After that, we were invited to participate in a service given by Rabbi Alona Nir Keren. It was a special time to enjoy the feeling of warmth given by her and the members of the Yozma community. For dinner we split into groups were warmly invited to members homes. We happened to be at a dinner with three rabbis, one cantor, one person who just finished his army service as a commander in the paratrooper brigade in the army and is now going to university to study foreign relations and diplomacy. Another person at dinner was also an officer in the navy who is now studying nutrition. She also works at Yozma organizing the visits with the guests from overseas. 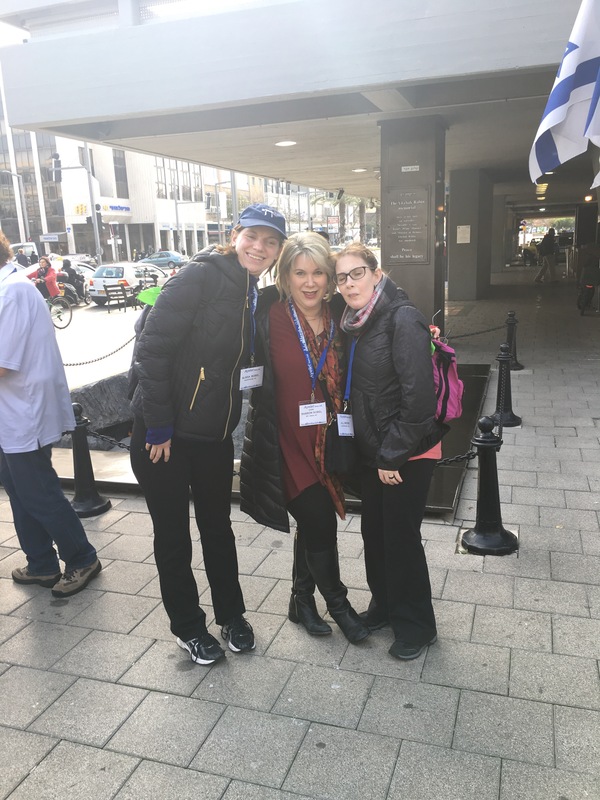 We cannot speak for others but the visit we had was a highlight for us on our Israel journey. Once again, thank you to Sharon arranging this amazing journey. (Photos to be added later when I have a better internet connection). After enjoying a sumptuous breakfast we gathered at 9 AM, still a little disoriented and jet-lagged. 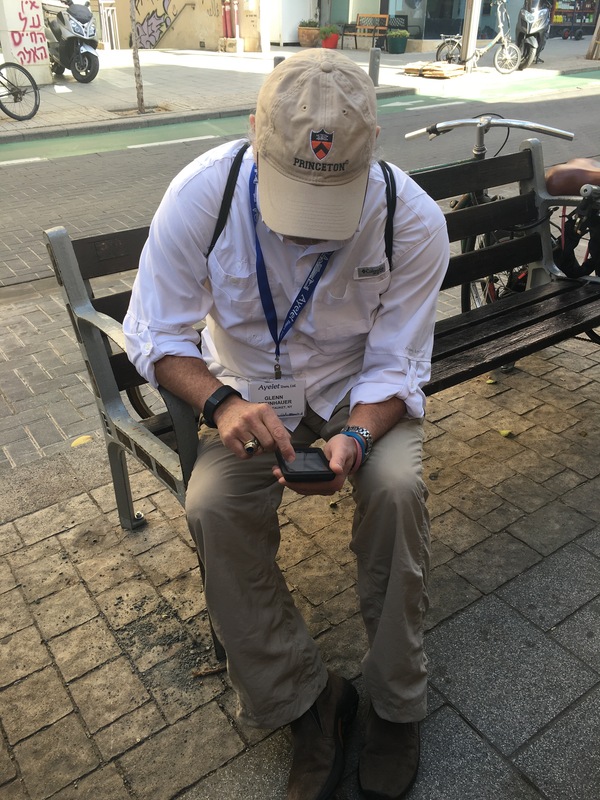 Our guide, Ofer, stepped up to the plate despite a mix-up in our program and presented us with hats, maps and journals as we embarked on our journey through Tel Aviv. 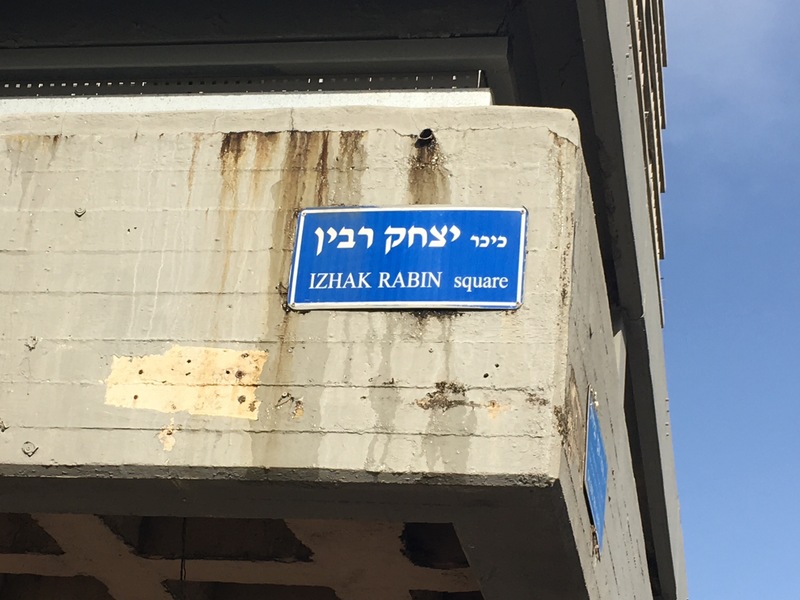 We began in Rabin Square where the prime minister was assassinated on November 4, 1995. This event immediately reminded me of JFK’sassassination. Both events changed their respective countries forever. The emotions felt by all of us were comparable to my visit to Dallas’ Book Depository. 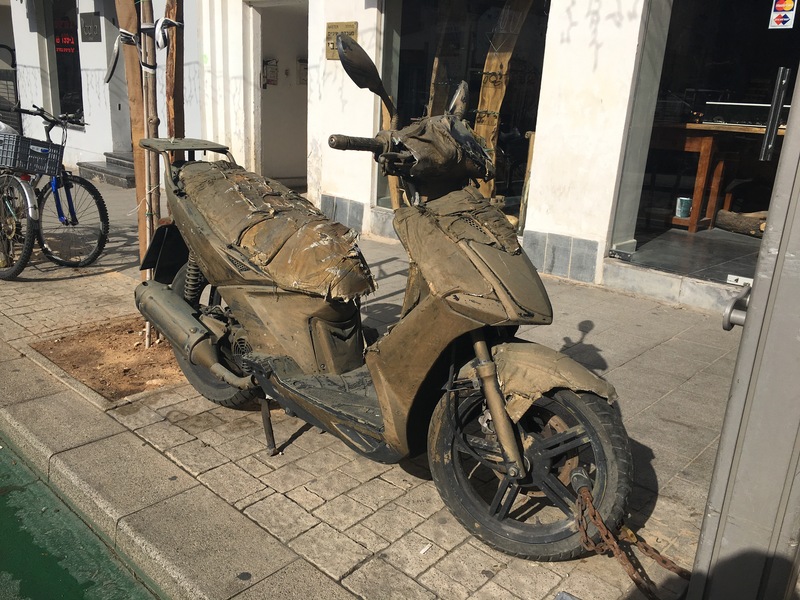 After some reflective time at the sight we began to explore Tel Aviv. We walked and walked and walked up Rothschild Blvd experiencing the ‘White City’ architecture style. 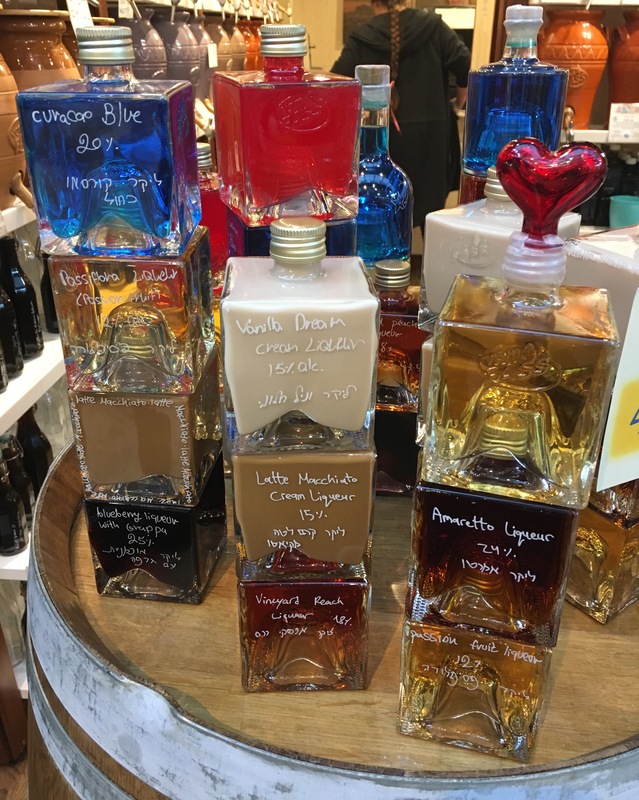 After meandering through some lovely neighborhoods, we had some time to (walk down Shenkin Street – home of cafes where the poets and writers would gather) – shop in Shenkin’s artsy shops. And we walked some more. 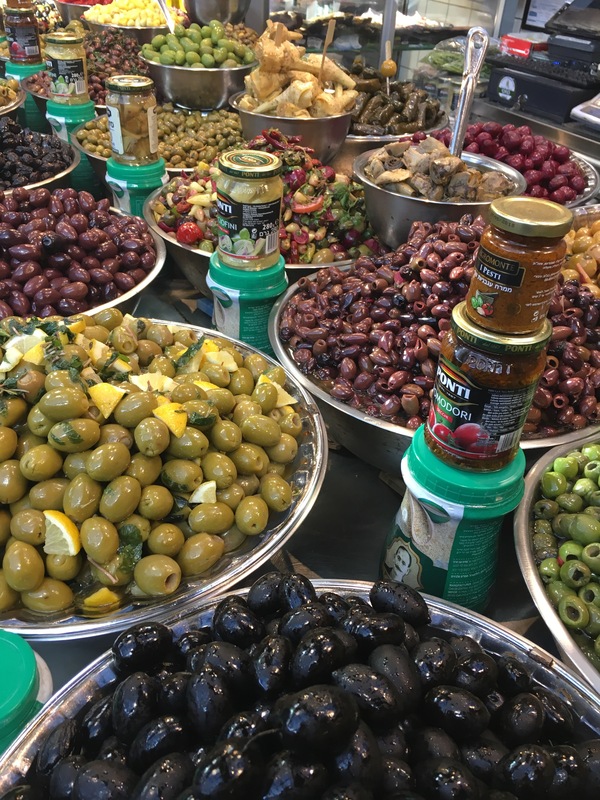 Lunch was on our own at Sarona Market which reminded me of Chelsea Market in New York City. 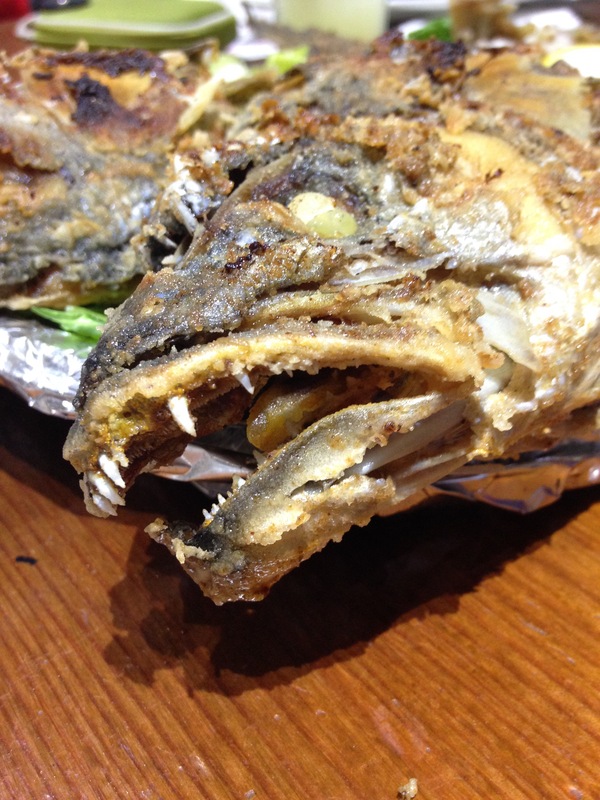 Each of us experienced different culinary delights. I ate at a Thai restaurant and passed the Irish pub on the way back to the bus. After lunch we returned to the hotel for a much needed rest. Typically I can’t be still for too long while traveling so I ventured out on my own and went to the beach. I had fun watching the surfers and families enjoying the shores of the Mediterranean. I could not believe I was really here. Visiting Israel has been a dream of mine since I was a young girl and read ‘Exodus.’ I did have visions of Paul Newman rescuing me. Our evening activity began as we headed toward the Na L’ga’at theater for dinner and a show. The group was a bit nervous upon entering since this establishment is run by hearing and visually impaired individuals. After choosing our meals from the menu, we were asked to put all our electronic devices and belongings in a locker. The tension mounted as we were led into the dining room in small groups. Our waitress led us through a pitch black tunnel as we held onto each other’s shoulders for dear life. As we got to our seats we began to relax – but the blackness was complete. We all thought our eyes would adjust and we would begin to see shadows, but that never happened. Pouring water was a challenge. Once the food arrived we were chatting away and thoroughly enjoyed dinner. After dessert, we held onto each other to leave the dining area. It took quite awhile to adjust to the onslaught of light. We had a short lesson in sign language and then entered the theater. All the actors were hearing impaired, sight impaired or both. Some have spent their entire lives in total silence and darkened. While watching the performance, we laughed, we cried, we discovered that despite differing abilities we all have the same desires and dreams. None of us can forget this experience and being able to go on stage and share the newly baked bread was a true blessing for us all, bonding our group even more. On a side note, I went way over my allotted Weight Watchers Points and walked 13,597 steps according to my FitBit. I can’t wait to see what Friday has in store for us! 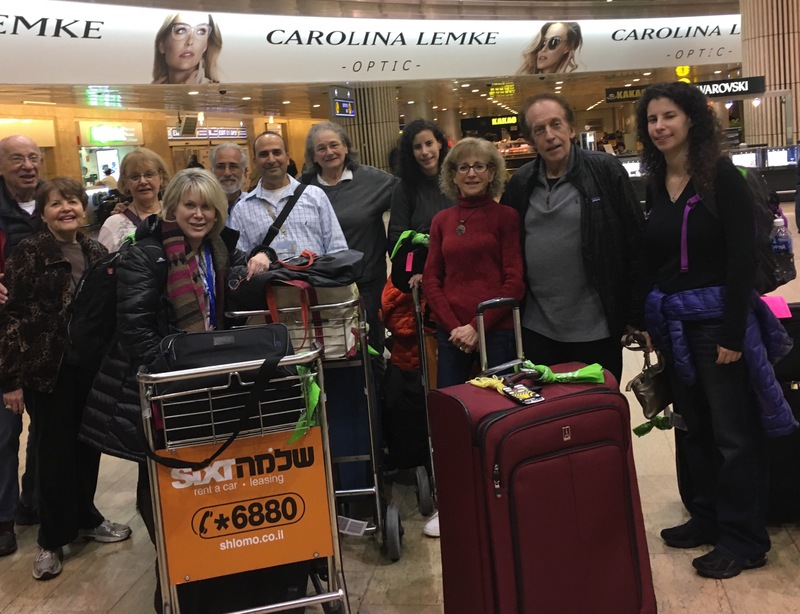 Our trip began with expectations of sharing our lives as a community as we tour Israel for 10 days together. 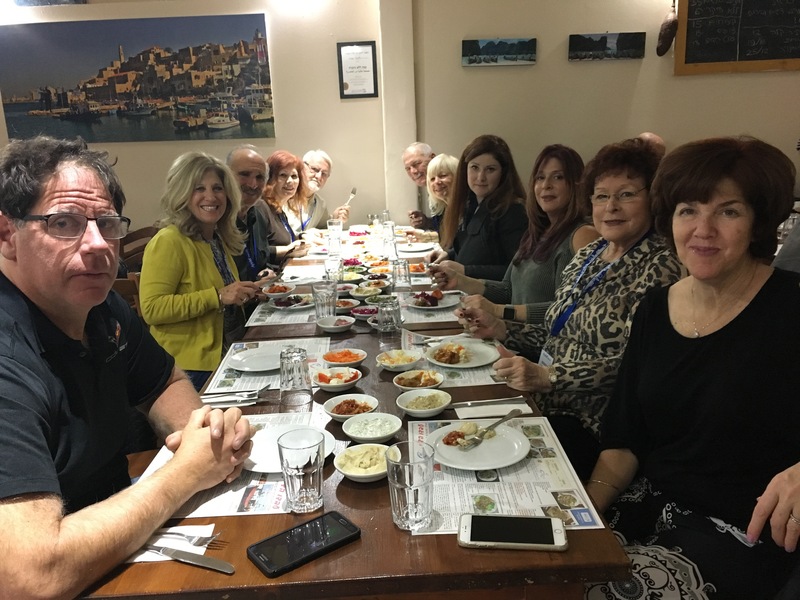 After traveling from JFK to Tel Aviv in two groups, we joyfully met up at Abdu Hadayag (a fish restaurant in Old Yoffo) for a delicious dinner that became a ‘family reunion.’ Over a multi-course feast, we each regaled the others with our flight adventures. Being all together for the first time generated the warmth of a traveling family, not a tour group. Sharon greeted us with joy and arranged a perfect get-together: we ate, laughed, met Ofer (our tour guide) and enjoyed ourselves. We ended our first outing with sighs of contentment, joy and excitement for the days to follow. 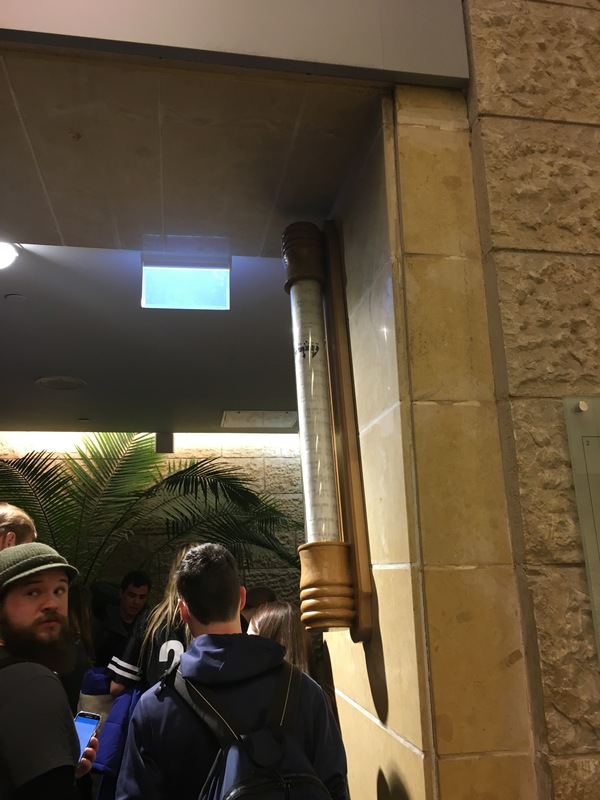 First grounding feeling about being a Jew in Israel: a sweet breath of wholeness upon seeing a mezuzah on the doorpost of each hotel room. Sharon’s comment: Bruchim Ha’ba’im! Welcome home! We met and discussed, planned and studied, tried to determine the best program to meet the needs for those who wished to travel to our Jewish homeland. It all comes together tonight as we leave to visit Israel for Chanukah. 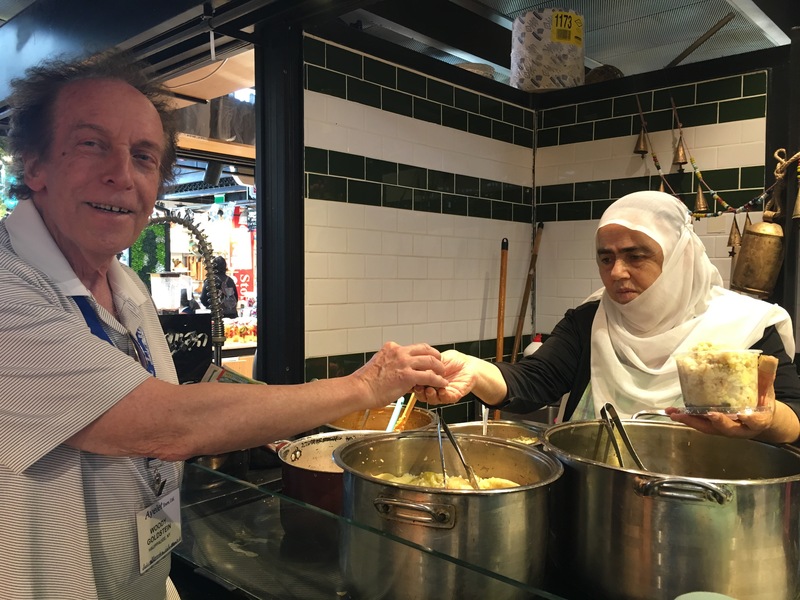 We are an intergenerational group of 27 participants, ranging in age from 13 to over 80. Some have never travelled to Israel, some have been many times. We’ll celebrate two B’nai Mitzvah while we’re there: our 13-year will chant Torah at the egalitarian southern side of the Western Wall. This beautiful young man is sharing his Israel Bar Mitzvah experience with one of our 30-year olds: she, too, will celebrate becoming Bat Mitzvah at this time, as she never experienced Bat Mitzvah when she was growing up. 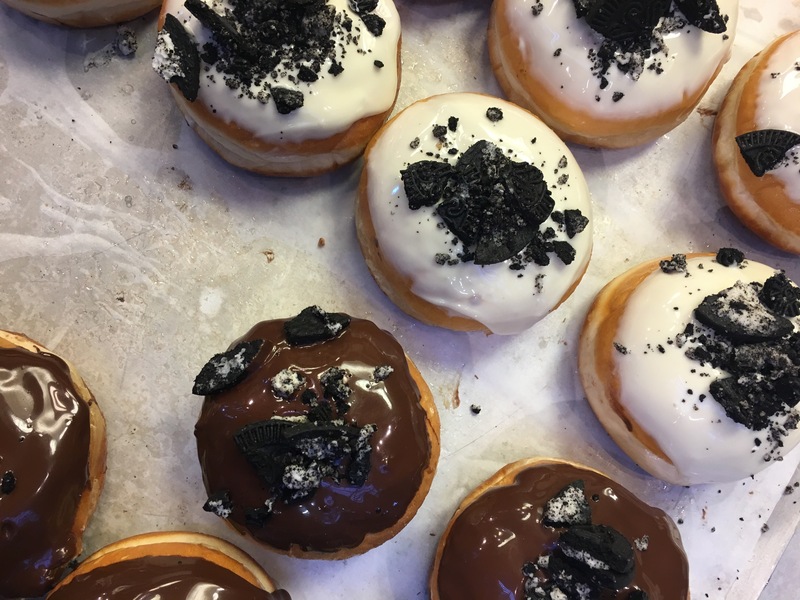 We’ll hike, explore, eat, laugh, bond as a group, learn, eat, listen, learn, explore more, taste chocolate and wine, spend time with the Israeli Reform Movement and eat some more. We’ll marvel at the wonder of modern Israel and all that has been accomplished in such a short time. We’ll learn about the struggles and challenges that exist in the Middle East. We’ll keep open minds and open hearts. This is not merely a “trip,” or a “vacation,” it is a journey. We are going to connect spiritually, emotionally and physically with the land of our ancestors. We will reflect on our own Jewish identities and what our connection to Israel means to each of us. And we’ll share our reflections and photos each day – in this space – with you. I will be turning over my blog to a different person each day to share something from the previous day (a group “journal” of sorts). So join us on our journey, travel with us as you follow us on this space (beginning around December 22nd). Let us remember that we travel not for the sake of travel alone, but to have our perspectives on the world transformed. Let us feel the deep and abiding connection with our Jewish roots, that will inspire us to develop a long and lasting bond with the land and people of Israel. May the sparks of the Chanukah candles ignite a spark of passion within us, which we will bring back home to share with others, so they too, may be strengthened by our learning and understanding. May we be blessed in our going and blessed in our returning -in safety, peace and wholeness.